My name is Erik Calderon and I've been doing martial arts from the age of 5. When I was 20, I got this incredible itch to move to Japan and study martial arts full time. In 1989 I went traveling to Mexico with my Dad. One night, he had some business to attend to, and I was left in the hotel to kill the time. I turned on the tv and a movie called, "Nico," was airing. It was interesting, and I enjoyed watching it. I especially like the martial art that was highlighted in the film, Aikido. I knew nothing about Aikido, but from what I saw, it looked like fun. When I got back to Boston, I looked up a few Aikido schools and started taking Aikido classes at Shobu Aikido of Boston under William Gleason. I read every book I could find on Aikido and learned about it's history, it's culture and its philosophy. Aikido was founded by a man named Morihei Ueshiba. He was born in 1883 and died in 1969. In 1926 he moved to Tokyo, Japan and opened up his dojo, the Aikikai World Headquarters. During World War II the dojo was closed and Morihei Ueshiba moved to Iwama and built a dojo there. It's important to note these two location, because they have developed into two distinct styles of Aikido, the Iwama Ryu and the Aikikai style. Of course, I'd like to say that it all depends on the instructor and where they learned Aikido. Throughout my years of training in Aikido in Houston, Boston, San Francisco, Austin, San Antonio, Arlington and in Tokyo, I've seen many different styles and systems of weapons being taught. Essentially Aikido comes from three different arts, The Long and Short Sword, The Staff and Unarmed techniques; Kenjutsu, Jojutsu and Daitoryu Aikijuujutsu. In 1991, after studying Aikido for a year at Shobu Aikido of Boston, I decided to move to Japan to further my studies and understanding of what Aikido is. I read a lot of books on the idea of using weapons, and, studied and applied those ideas at the dojo in Boston under William Gleason. When I got to Japan, taking classes at the Aikikai World Headquarters, also known as Hombu Dojo, I did not see nor take any weapons classes. I did hear a rumor that there was a class, but I never saw nor attended it. I was also a student of the Sophia Aikikai Club at Jochi Daigaku (Sophia University), but never experienced weapons training there as well. I did take an apprenticeship from Kato Hiroshi, which did teach weapons. He taught them as he had learned from Morihei Ueshiba better known as O'Sensei, or Great Teacher. And, in every class, Kato Sensei would spend about 45 - 60 minutes teaching weapons. That's where I got a very strong basic foundation of the weapons and how they apply to everyday Aikido practice. While I was training under Kato Sensei, he taught that each Kyo has a significant meaning: Ikyo - Physical Strength, Nikyo - Technique, Sankyo - Flow, Yonkyo - Focus, Gokyo - Disarm. 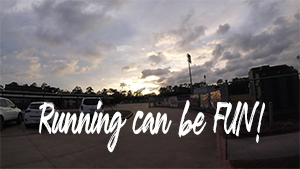 In light of that teaching, I've been creating my vlogs to highlight that teaching. I just finished my vlog on Nikyo, which is about technique. And yes, the title is click bait, and if you are wondering, there really is no secret technique, but the obvious, deliberate practice, and hours, weeks, months, years, decades...of deliberate practice. Watch my vlog, comment, share, like and subscribe to my channel! I've been teaching Aikido for about 20 years now, and I've made it an important point to stay in shape. Teaching means that I don't get to train a full hour or two like my students do and get a really good work out, burn calories, gain strength...all that good stuff that comes with training....maybe that's why so many aikido instructors are overweight! So I've put together my own training program with running, pushups, sit ups, pull ups and my favorite Rock Climbing! Sometimes I get super lucky and only one or two students show up for class; then I get to train! I love those days. 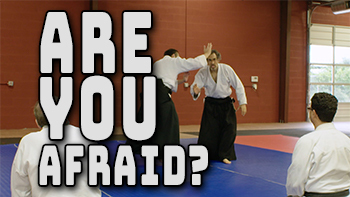 So, you think you need natural ability or talent to get good at Aikido.....think again! 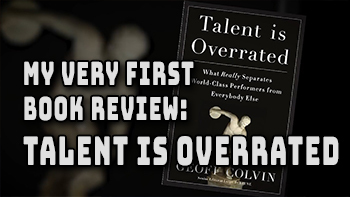 Geoff Colvin wrote a book called, "Talent is Overrated: What Really Separates World-Class Performers from Everybody Else." It's a great read and very inspiring, well, to a certain degree...don't think it's easy to become great. There are two main ingredients to becoming great and two things that are going to help you get there. 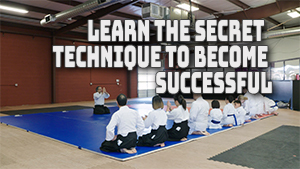 Watch my vlog to learn more about what you need to become a world class Aikidoka! In Japan I learned about Ai-Uchi or mutual destruction; that means that your initial movement needs to be moving in a way that you are actually going straight into an attack, irimi. I've been studying this for that past several weeks and created a vlog about it. Please watch, share, like, comment and subscribe to my channel! While in Japan, I learned a lot about the philosophy of Aikido. I learned some of the meanings behind the techniques, for example, Ikkyo. Ikkyo translate into first principle, but what does that mean? The first principle, or foundation, to learning aikido is physical. That means that you need to exercise, you need to watch what you eat and drink, you need to take care of your body. As we age, we grow in strength, as long as we're sticking to a good routine and good habits! Breathing is a very important part of Aikido. Kokyu, or breathing is in every technique, we even have two specific techniques named Kokyu-ho and Kokyu-Nage. Learning to fall is one of the first things you learn in Aikido. 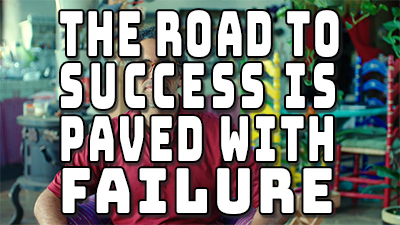 You can't really learn any techniques until you learn the art of falling without getting hurt. I think I read somewhere that O'Sensei said that he used the earth as a weapon. If you throw someone hard enough, the ground will definitely not be friendly. 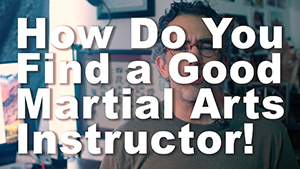 How to Find a Good Martial Arts Instructor!